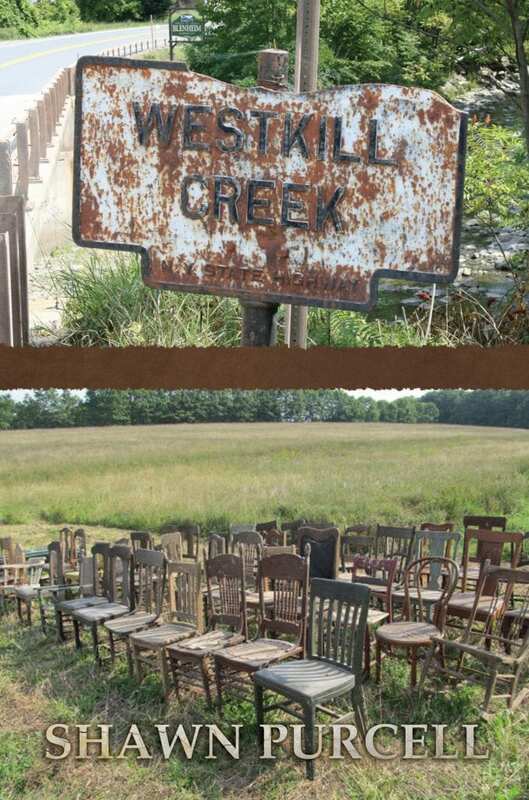 West Kill Creek by Shawn Purcell (Troy Book Makers, 2014) is a contemplative work of post-apocalyptic fiction set in upstate New York and shot-through with local history. A particularly lethal virus has rapidly wiped out most of civilization. A hardy band of survivors does what it takes to stay alive, but the novel also reverberates with the echoes of local history and deep time, the beauty and terror of nature, the power and glory of books, current environmental and political issues, and actual events and places. A Senior Librarian with the New York State Library in Albany, specializing in history and genealogy, Purcell draws heavily on New York’s history. “Although I lean heavily toward non-fiction, one of my goals is to expose new types of readers to a deeper appreciation of what history is all about,” he said. Purcell also created a simple website for the book, which includes photos and links and the first chapter is offered as a sample for readers. West Kill Creek is available at local independent bookstores and gift shops in the Capital District and in Schoharie County, as well as through Amazon and the publisher. Note: Books noticed on The New York History Blog have been provided by their publishers. Purchases made through this Amazon link help support this site.